Lakeside Lodge at Hyatt Lake. Prachtig ontworpen blokhut. We laten huisdieren toe. Kom verblijf bij ons op uw volgende reis naar Ashland, Oregon. De thuisbasis van de Oregon Shakespeare Festival. Southern Oregon staat bekend om haar natuurlijke schoonheid, culturele activiteiten en vele outdoor-avonturen. Sleutelwoorden: Blokhuis Lodge aan de oevers van Hyatt Lake. Afgelegen en genesteld in een alpenweide omringd door Aspen bomen. Majestic, sereen, privé en een geweldig uitzicht. De rand van het meer verandert afhankelijk van de tijd van het jaar en hoeveel regen het seizoen heeft gehad. Er is een hoefijzerkuil en een volleybalnet met een volleybal. It was nice spending quality time with all 5 kids again. Jokes, cards, games, talking at the table and playing in the snow. We will definitely go back for fishing, hiking and kayaking! Cant wait. Best part all the kids are excited about doing it again. That's stunning considering it's coming from 3 teenagers. We are glade to have been able to share our cabin. It is a special place as you noted. It does surprise us when a review gives us 4 stars but has nothing but great things to say about their stay? Great location for the sledding hill in the winter. Heated floors and the fireplace make it cozy! We had a fun time, sledding nearby, watching movies by the fireplace and just relaxing for a weekend getaway in the winter. This was the second time here. A couple upgrades made it even better than before. Randy is great to work with and communication is excellent. Unique location with privacy. Makes you feel like you are the only ones out there. Main road is well plowed in winter. can't say enough about what a joy it is to stay here. We had a fabulous time. The cabin was lovely and well appointed. We will definitely go back. Thank you to the Warren family for letting us have a wonderful Christmas. We had a magical December holiday. What a lovely experience. The setting is perfect! The lodge location is perfect for a winter get away. Sledding 0.4 miles away. Outdoor hiking in the early AM and night was truly memorable. The snowplow kept the road open so we could get around easily to have fun. 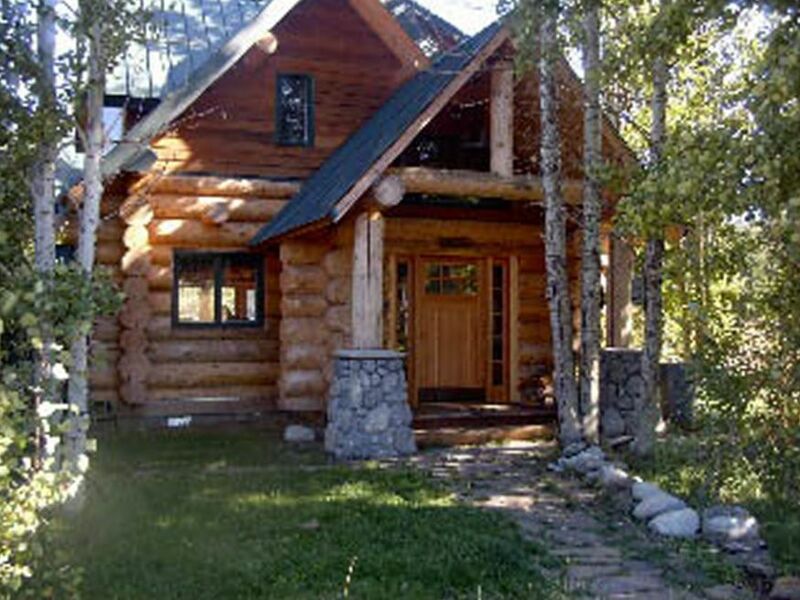 This cabin is ideal as it is close to Ashland and the airport on Medford. Home cooked meals were fun but there are a lot of nearby restaurants with good food. A little piece of heaven in Oregon!! This is a lovely property and great house for a large group or family. We greatly enjoyed our retreat there this past weekend! Een geweldige locatie om naar het Crater-meer te rijden via het Klamath-merenbekken. Een van onze favoriete eetplekken is onderweg met dineren aan het meer op de Klamath. Deze drive mag niet worden gemist. Het neemt je mee in de krater de achterkant weg. We allow one night stays for an additional $50.